Haul me up, me boys. What damage can those shore boys do? In 1804, at the age of twenty-two, having completed his apprenticeship, and in the middle of the Napoleonic Wars, Jonathan became “intent on travelling to foreign countries”. 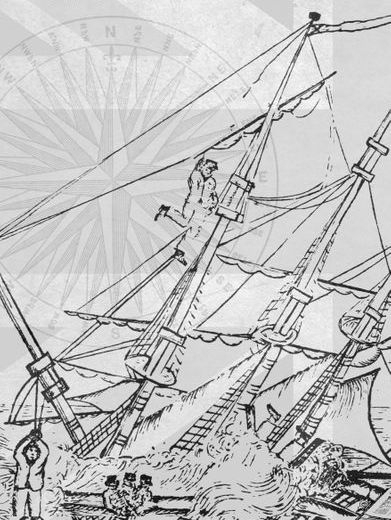 He travelled to London where he was deceived into boarding a ship called the ‘Enterprise’, to find himself press-ganged as an ordinary seaman in the Royal Navy. He was taken aboard the ‘Hercules’, a seventy-four gun battleship, destined for Copenhagen. He “felt deeply concerned for (his) soul, convinced that (he) was not ready to die.” He “got safe home, however, with such a prize as England never saw before.” Many other dangerous adventures followed throughout Spain and Portugal, including taking part in the famous evacuation of the British Army from Corruna during Sir John Moore’s retreat, and surviving falling overboard on four separate occasions. He immediately followed his service in the Royal Navy with a spell in the Merchant Navy, completing a total period of six consecutive years at sea. 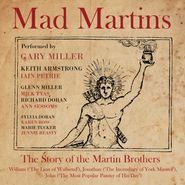 Other songs from 'Mad Martins' include 'A Painting for Charles', 'A Thin Veneer', 'At the Assizes', 'The Dandy Horse', 'Drainage Scheme', 'Four Bare Walls', 'God and Air', 'In Dreamtime', 'The Leaping Swordsman', 'Madhouse Martin', 'Maria's Testimony', 'Medals', 'My 'Life'', 'The Paint and the Pain', 'Pandemonium', 'Picture the Scriptures', 'Searching for the Waters of Oblivion', '"Shoot the Bishop! "', 'Three Mad Martins (Epitaph)', 'Three Mad Martins (Prophecy)', 'Wicked Old World', 'William, You Were Really Something'. at Whippet Records HQ on 27th August 2014.